New things are overrated. | love lives on. This entry was posted in Doug and tagged exuberance, speed demon, training, zoomies by OhMelvin. Bookmark the permalink. He is adorable!!! Glad to see he sits for a break at some point! Checking the camera instead of walking in to see what is going on keeps him more independent. Which is good! He is so unbelievably Happy! I like to say: powered by pure joy! At the end it looks like he’s looking right at the camera! Abbey does that sometimes to our cameras and I swear she gives me the “I know you’re watching me” look. He is a bundle of energy but so stinking cute!! Hahahah, they are like Kardashians, always looking at the camera! I think Doug is pulling the ‘sit for a minute so she doesn’t yell ‘stop’ from the other room’! All that energy how i wish i had at least half. As long as he doesn’t start to destroy the couch you’ll be ok …and the couch too! Hahahahah! I want to put him on a treadmill and have him create energy for the house! Squeee! He’s just too stinkin’ cute! He’s lucky I love him! Oh gosh, he is too funny!!! Omg, goodness gracious great doug’s on fire!!! I recognize those zoomies! Our GSD, Sammie, is also a zoomie master. When we lived in our apartment, she had a favorite path between the living room and bedroom. In this house, it seems to be upstairs from the landing to the bed and back again (and again…)! 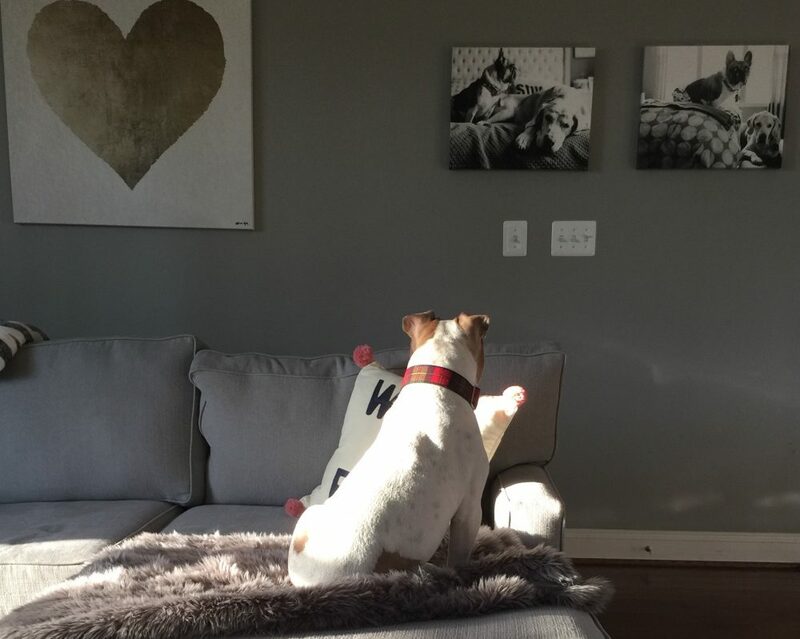 OK…for whatever reason…I feel like he is listening to (jake) say….”ready, GO”….and then Melvin say …”now …SIT”…..while watching Doug! Oh and I think the pausing near the back of the couch is the boys saying “no, no…there is no yoga mat there, turn around!”. What a bundle of JOY!!! !